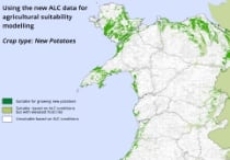 A three-year project led by Welsh Government, which seeks to develop and improve the agricultural land classification model for the whole of Wales. 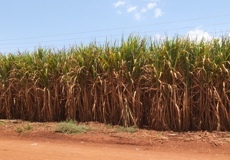 The project will assess the suitability of land for over 100 different crop varieties under 18 projected climate change scenarios. 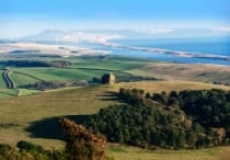 Monitoring change is important for many reasons, and for those working in planning, development and environmental management it can be crucial to ensuring that the characteristics of an area are maintained or enhanced. With growing evidence of the physical and mental benefits of green spaces we were recently asked to assess the greenspace accessibility for the West of England Nature Partnership to identify areas with no or poor accessibility. The insights that satellite data can deliver for agriculture are hugely valuable but making those insights accessible is not always straightforward for the people who might really benefit from them. We have recently demonstrated, the capability to deliver data insights in a simple data dashboard. The increasing frequency and severity of droughts and floods in Uganda occasioned by climate change threaten the agricultural economy. The Drought and Flood Mitigation Service (DFMS) aims to help decision makers address some of these threats. Earth Observation (EO) data can help. 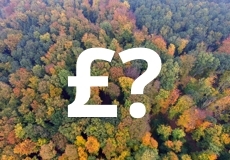 Earlier this year NRW (Natural Resources Wales) commissioned a feasibility study from Vivid Economics with Environment Systems as a partner to develop strategic thinking for progressing natural capital approaches, especially natural capital accounting at a local scale. We have just published the Spring 2019 edition of our Sphere newsletter. In this edition we cover agri-environment monitoring, coastal monitoring and how we are helping to enhance environmental protection in the Caribbean. 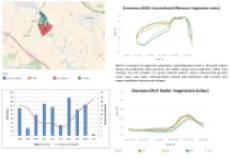 As we approach the bat survey season we take a look at some recent work. Lastly we review how drone data capture is making an impact in agricultural applications. We have just published the Winter 2018 edition of our Sphere newsletter. In this edition of Sphere we have news of a major project for Welsh Government that will help improve land use decision making under a number of different climate change scenarios. We look at greenspace accessibility in the West of England and landscape monitoring in Dorset. News too of new ways to access our Data Services products directly from your GIS. We have published the Autumn 2018 edition of our Sphere newsletter. In this edition of Sphere we are focusing on our Environment Systems Data Services which has been operating for the last two and a half years. As well as providing third parties with a rich vein of analysis-ready satellite data this availability is also having a considerable impact on our own and other collaborative projects.